NEED EXPERT ADVICE TO START YOUR SELF-BUILD? need an experienced team for your timber frame self-build journey? Self-building your own home is a life-changing experience, and there’s nothing more rewarding for us than doing a great job, and seeing our clients happily settled in their new home. Our aim is to help you get there as smoothly and enjoyably as possible, with our flexible services, superb designs and products, and outstanding expertise and experience. Whether you’re a seasoned timber-frame builder, or just starting your first self-build adventure, call us today. Timber frame homes are known for faster on-site construction, making weather less of a problem. Timber frame construction is highly flexible to suit different budgets, from kit packages to fully bespoke architect-designed projects. Timber is a natural, renewable and sustainable resource with low embodied energy, especially if supplied locally. Want to know more about timber frame self-build? 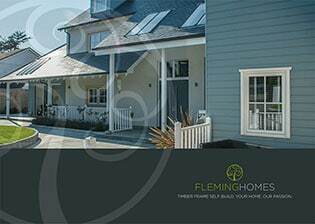 Call us on 01361 883785 at Fleming Homes today. Get your copy of our introductory, inspiration, or specification brochures by filling in your details. Sign up to our monthly e-newsletter to download your FREE 10 Steps to Your Self-build Home factsheet. Request a call back from one of our knowledgeable and friendly team at a time that’s convenient to you. 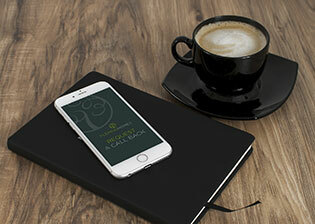 Why not come and meet the Fleming Homes team in person? We’re there to help you with all your self-build and timber frame questions. Below are the next 4 exhibitions we’re attending, a full list of shows where you can meet the Fleming Homes team is available on our Events page. Hopefully there’s an event near you soon. If not, just give us a call! "We are onto our third self-build project. 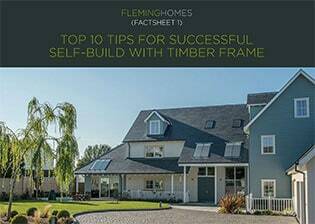 We've used Fleming Homes' design team for each of our houses and have been delighted with their flexible, friendly and reliable approach to timber frame supply." "The personal service is excellent and it was reassuring to be able to pick up the phone and speak to someone throughout the self-build process." "Fleming Homes are one of the finest and most client-focused commercial firms we have ever encountered. It was a very happy and positive experience." "Pulling all the component parts of a self-build project together is the real challenge. Fleming Homes are extremely helpful in this respect. Their service is exceedingly thorough right through the build process. Working with them is an enjoyable experience." "We first made contact with Fleming Homes at the Harrogate show, and from that initial contact, the whole experience of obtaining a quotation based upon our own design, accepting the quote, converting our design to detailed drawings for production, delivery and erection exceeded my expectations. Excellent service from start to finish." "A great kit, a great company, and a great team. The guys at Flemings are the best I have had the pleasure in dealing with. They really do care, and if you have any queries they will resolve straight away. Friendly, upbeat, positive. I have a few more builds still to go, and you bet I will be using Fleming Homes." "Wow, what a whirlwind journey, from arriving on a truck to sign-off of the timber frame in just three weeks. I don't think I have ever seen anyone work such long hours in freezing conditions, wind, rain and the occasional sunshine! Thank you Fleming Homes for helping make our dream a reality." "I’d happily recommend Fleming Homes to my clients in my planning consultant capacity." "Fleming were amazing from start to finish. We could not have done it without them." "Fleming Homes are an all round excellent company to work with. The service provided by every contact I've had has been extremely professional and nothing was a problem. Fleming Homes have been one of the easy parts of building a house!" "I'd do it all again and with Fleming Homes. We are thrilled with our new house and it's turned out far better than we could have ever hoped for"
"I would wholeheartedly encourage self-builders to use Fleming without reservation. The product is of high quality and eco-friendly. We had a faultless experience from start to finish." "We were delighted with every aspect of dealing with your company and our kit home, you could not do enough to help us and answer all our questions so promptly. Also the quality of the kit was excellent. We would use you again without question, your staff were so professional and did a great job." "I just wanted to let you know how impressed I have been by the quality and the professionalism of all your team. They've done a great job and I would be happy to recommend them to anyone."